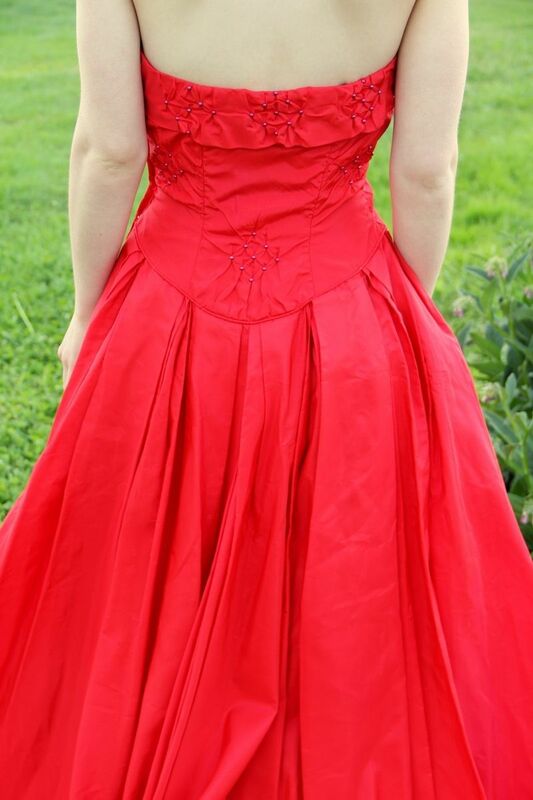 Just lovely, and RED, vintage 1950s ball gown. 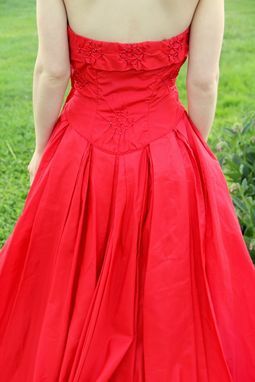 The bodice is strapless with a fold over collar/neckline. The entire bodice and front of the skirt features diamond shapes made of red metallic ball beads puckering the fabric every so often. The waist dips down in front and back to elongate the waist and highlight hourglass curves. The skirt is heavily pleated, but the fabric is pressed enough that it does not add volume at the waist. The pleats flow out into a very full circle skirt, with an even fuller short train in back! 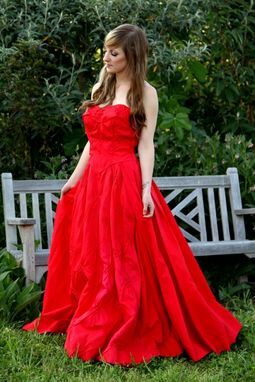 The fabric is silk taffeta. The dress features a built in pettiskirt of lipstick red tulle! Absolutely excellent condition, no noted flaws. MEASUREMENTS - Small Underbust measurement of 28.5"